You will love the convenience of this beautifully labeled, glass roller bottle that fits comfortably into your purse or on your nightstand. 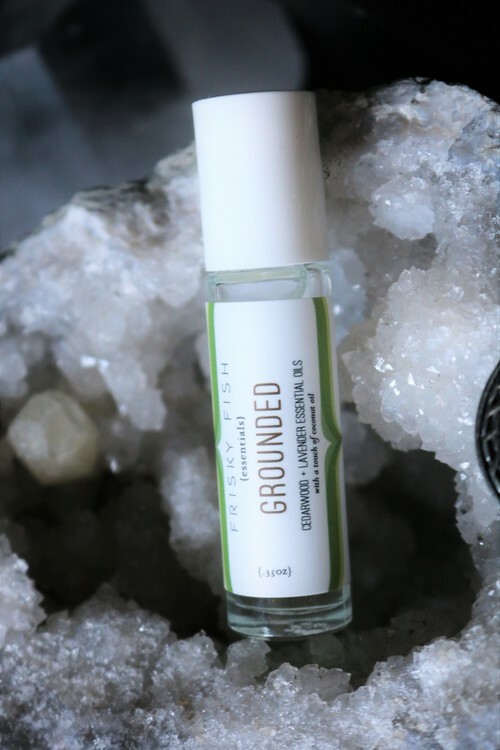 GROUNDED is aromatherapy-to-go with centering and calming effects and a warm, earthy and smoky blend of frankincense and lavender essential oils. Full moon? Off-kilter? Spaced out? Rub GROUNDED on your pulse points to get you feeling centered and balanced. Take to yoga, your kids' next play date, Coachella or wherever you might need to feel more connected and in tune with Mother Earth. 10 mL, Vegan, Cruelty-free, Good for you and Mother Earth!